When it comes to our city, all is not what it seems — from tin painted to look like sandstone to the steel hidden in our timbers. This story was originally published Jan. 8. 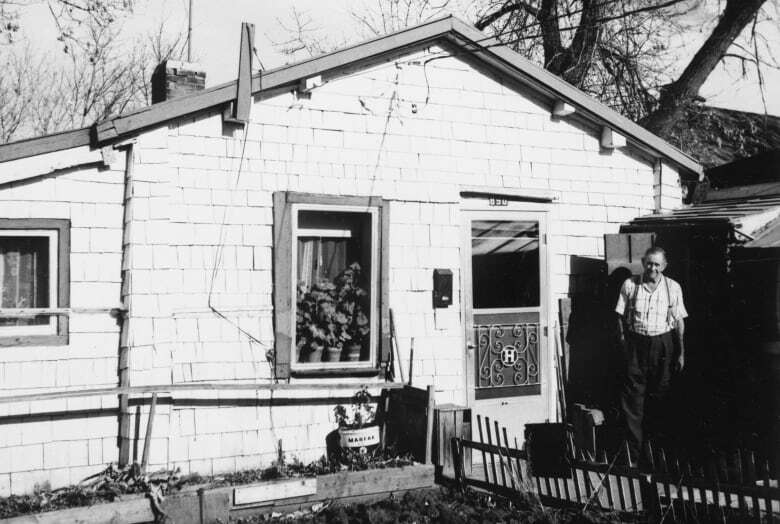 I help restore Calgary's history — one building at a time. I own a small construction company that specializes in the conserving our city's historic properties. Working in this business, you learn that buildings are not just bricks and mortar, they are the bones of our community. They tell the stories of Calgary's past. The materials our city was originally built with, combined with our weather, offer the restoration world some pretty serious challenges. Brick is a great exterior material — it breathes, sheds water and is relatively easy to maintain. Sandstone and wood can be problems. You'd think stone would be a forever material, but it crumbles if it's not designed just so, not installed exactly right or not looked after regularly. Sandstone likes to soak up water. In Calgary we see lots of freeze-thaw cycles. Water soaks into the stone or mortar, freezes, expands and the stone turns chalky — soft to the touch — and starts to flake away. So we have to keep an eye on places like some old schools, municipal buildings and up and down Stephen Avenue. Calgary might also be the worst climate for wood. Cold winters, lots of moisture, freeze-thaw cycles, hot summers with long sunny days and ultraviolet rays accelerate the deterioration of our wooden history. And so things like the original wood windows of the Deane House at Fort Calgary, will always need maintenance. 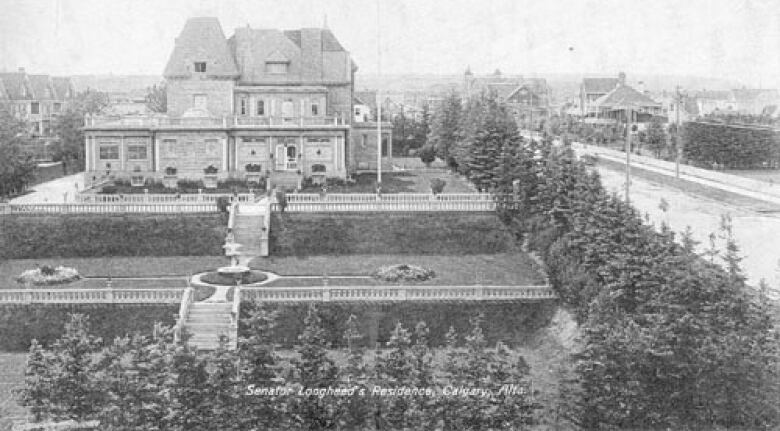 The exterior of the Lougheed House on 13th Avenue S.W. will as well, because in spite of looking like sandstone, a lot of it is actually made of wood painted to look like stone. But you learn many secrets about our city when working on older buildings. If you're out and about downtown, take a look at the cornices on heritage buildings. At first glance they look like sandstone, and some are, but believe it or not most of them are made of tin. It's a trick. For example, the columns outside the Winners store on Stephen Avenue, or the columns and cornice at the Oddfellows Building across from the Bow building, are tin. When Calgary was first being built, we didn't have the same money or resources as they did out east or overseas. Tin was a cost effective way of adding detail to the building. Cover it with oil paint and sand, and make it look classier. But tin gets old, and needs to be replaced. When you feel it, it's brittle, and you can still see old hammer and press marks. When you open it up, there's an earthy smell from all the organic stuff and moisture that's gathered over the decades. Two of my most memorable projects are the Hunt House restoration at Fort Calgary, and fixing up the old YWCA building on 12th Avenue. The Hunt house is Calgary's oldest building on its original location — a 200-square foot log cabin about the size of your bedroom — located behind the Deane House. Seeing how people used to live makes you appreciate where we came from. The Hunt House would have been small, damp, cold and full of insects and mice. When we started working on the cabin, it looked like it was in decent shape, but old logs rot from the inside out. The hard weathered exterior had a soft "punky" interior — and it was crumbling — so we had to take the whole building apart, piece by piece. All the original materials had to be restored — no mean feat considering the nails used back in the 1870s were square cut, and the size of a pen. Each was carefully removed then reused in the original locations. And we literally unearthed Calgary history when we pulled up the floor — handmade shoes and jewellery, medicine bottles, scraps of newspaper and clothing. Beneath all this was the original fir plank floor. 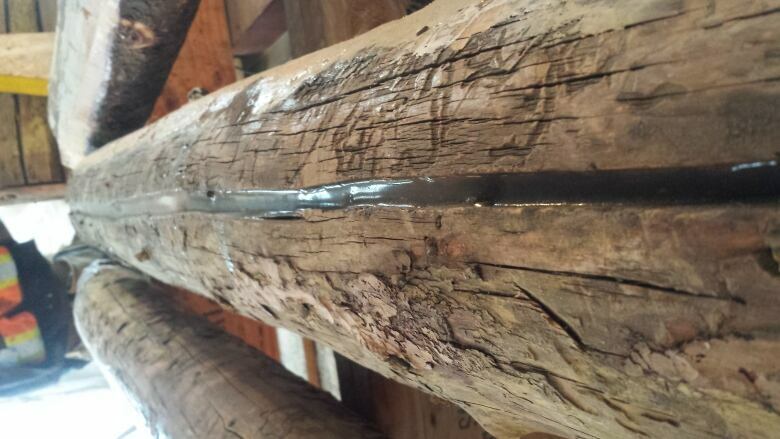 When you cut into old fir, you see how dense it is, and how it has a powerful smell. So much so we call it stinkwood. In the Hunt House you touch real tangible history, and you learn to read it. You can see marks where there was a bed, or burned rings and ash where there was a stove, or axe marks where someone chopped wood long ago. But sometimes history just can't be restored. 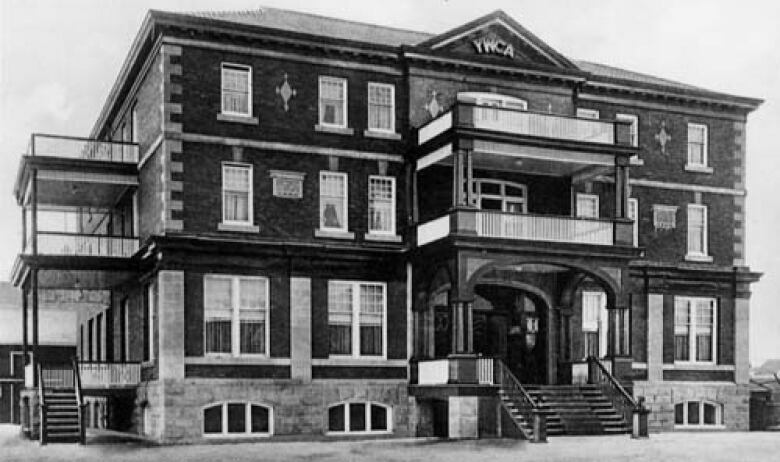 The original sandstone and wood porch on the old YWCA was gradually taken apart over the years. The plan to recreate it took some restoration sleight of hand. There were two problems. 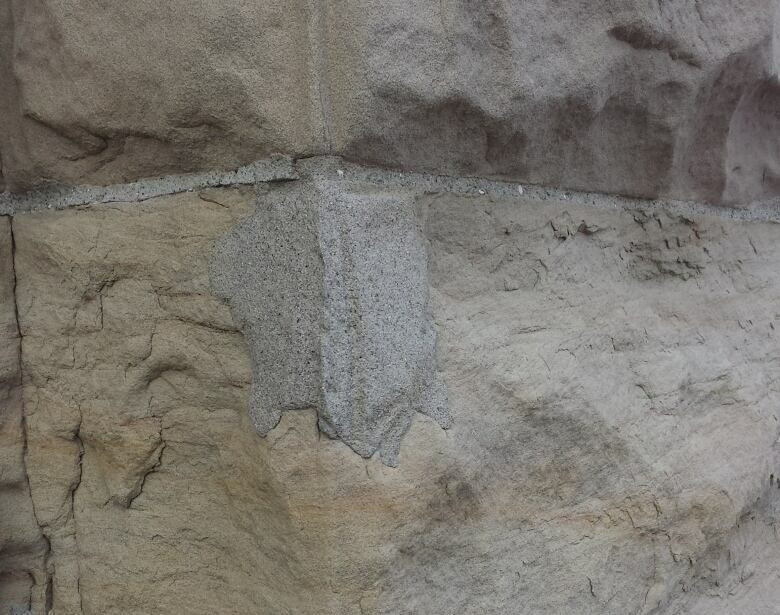 We are more or less out of "Paskapoo" sandstone, which is the kind that much of early Calgary was built from, and the wooden structure above the stone wouldn't have met today's building codes. So, the most effective way to build a new porch that looked like the original, was with steel columns supporting wood framing and Medex — basically waterproof MDF board — painted to look like sandstone. So now, running through the decorative columns (I'll let you guess which ones are which) there are structural steel columns designed to carry the load of the porch into the ground. And the cornice is the same tin detail with paint and sand mix you see on other historic buildings around town. Except now we use galvanized steel sheets, carefully cut and bent by hand to match the original. Deceptive yet resourceful. The old tricks are still the best tricks. It takes time, money and dedication to keep our Calgary history part of our present. 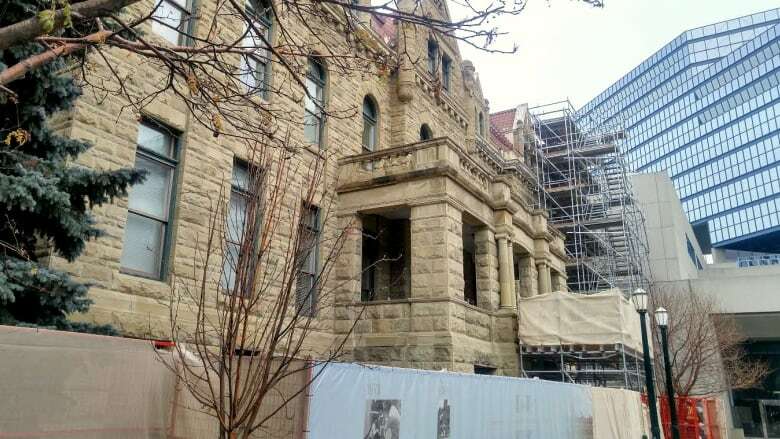 The groups and individuals who raise funds for restoration projects — who work on these things — do it because they genuinely care about the intrinsic value of saving Calgary's heritage buildings. We're lucky in Calgary. There are people, architects, provincial and civic employees, grassroots heritage organizations, and, hey, even a few contractors who genuinely care about preserving our city's history. I was born and raised in Calgary and I'm proud to be a Calgarian. We stand for hard work, integrity, perseverance and ingenuity. When a job is done I hope people see that in our work — and that our work will allow people to enjoy Calgary`s history for years to come. Dave Chalmers is the owner of Chalmers Heritage Conservation Ltd., which is a small construction firm focusing on historic building restoration and preservation.